Ah, Game of Thrones, I hope you run for 20 seasons. Can we make that happen? Because I’m sure everyone would watch it. GoT is such a hard show to review, though, because of all its different plots and places and whatnot. For season 4, I would list my favourite moments from each episode, but this year I can’t even do that: there is simply too much going on. So my new format will be a list of, as the headline says, all the thoughts I had while watching the episode. You can expect lots of the things I write to make zero sense. Welcome back! -Did we REALLY need to watch Oberyn’s death again in the ‘previously’ recap? -Tom Wlaschiha’s name is in the opening credits! I’ve been waiting for this since 2012. 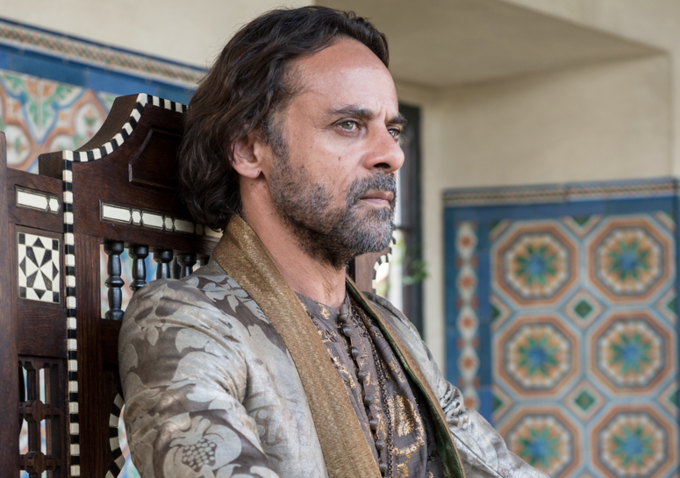 -Have I missed Dorne in the intro? I mean, I know it will be part of the episode. Where is it??? -Arya looks pissed and/or scared. -Wait, no, she is not afraid, apparently. She’s the best. -When I have my own house, I want a Colossus of Rhodes at the entrance, like that one. -Is the statue wearing any pants? 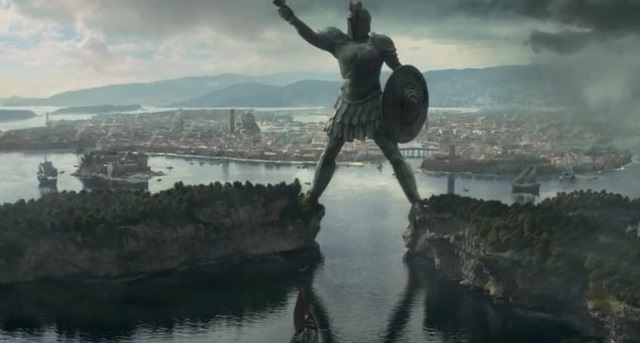 -Braavos looks amazing. Very Mediterranean. Want it. -Okay, now it definitely looks like some sort of medieval Venice. -“Any men of Braavos would have done the same.” Everybody should leave Westeros, this is so much better already. -Arya needs to get a jet ski if she’s sticking around for a while. -Oh my God, what is Mace Windu doing in Venice? He is NOT impressed by the coin. -Who is Meryn Trant again? I get lost sometimes with minor names. -Ahh, okay. He is the kinsguard who would beat Sansa on behalf of Joffrey. Thanks, Wikipedia. -Why doesn’t Pod have a horse? I thought he had like a pony or something. 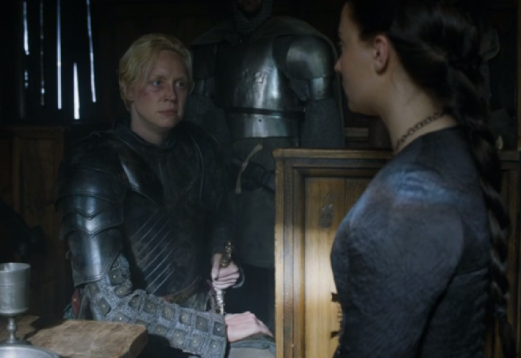 -Oh, please, are Brienne and Sansa going to “almost” meet in every episode this season? -I take back my words, Pod saw them! Well done. -I sense a fight coming. – Petyr, stop showing Brienne up in front of everybody! -I’m feeling so bad for Brienne right now. -Ouch! That guy will sleep with a stiff neck tonight. -That snake present is the coolest way to threaten someone I have ever seen. -And “smirking whore” is one of the coolest insult I’ve heard coming from Cersei. 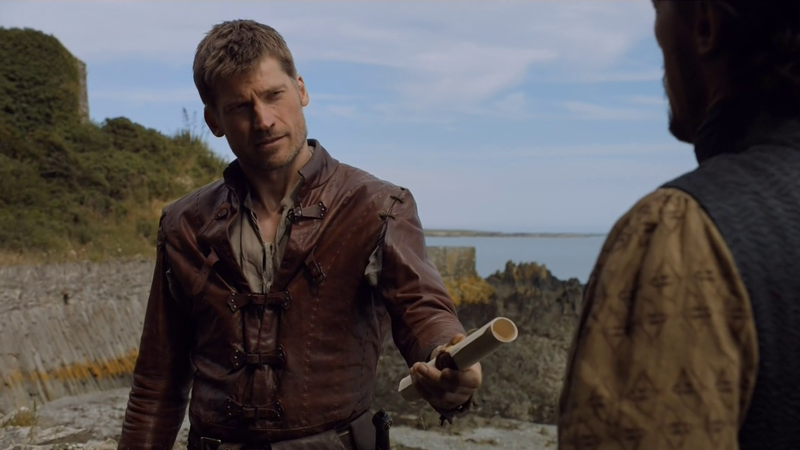 -Jaime is going to Dorne to get his daughter back. I don’t buy it. He just wants to get the hell out of there and have some nice, Mediterranean coast holidays; get some tan on that golden hand. -Bronn! So happy he is still there. -Someone please make Bronn’s betrothed stop talking. -Of course Jaime is taking Bronn with him. He does have just one hand, after all. That and his good looks. -I already love Dorne. I can see why Jaime wants to spend some time off there. This is the show’s Spain, just like Bravoos is its Italy. -Has Ellaria’s accent always been this thick? I don’t remember her accent being so exaggeratingly Spanish last season. Maybe it’s because she was now surrounded by a Spanish crew? -I kind of like Prince Doran. He seems peaceful and with no thirst for revenge, which means he is obviously up to something. -I mean, he doesn’t even bat an eyelid. So level-headed. -Danerys. Slaves. Ruling. Zzzzzzz. I love her, but, zzzzzzzzz. -Daario sure knows how to slain people. And get naked, something he doesn’t do in this episode. -When will Tyrion get to Mereen? Wake me up when that happens. Dany is wearing a nice dress, though. -“How many dwarves are there in the world? Is Cersei going to kill them all?” You bet she will. -That is one depressing council. -Master of Whispers? Is that the official name? I want that job. -Poor Shireen, her mum is the worst. -I had forgotten how much I don’t like Alliser Thorne. -“Jon Stark.” I don’t like the sound of that. -Of course he doesn’t want it because of honour, vows, etc. He is so his father’s son. -Oh, Samwell, I see what you did there. -Oh my. Aemon is the best. He just made Jon the new Lord Commander. And half the people there didn’t vote for him. OOPS. -People are scared at the sight of Mace Windu. They can probably feel the force. -Mace Windu is Jaqen!!! He is finally back! 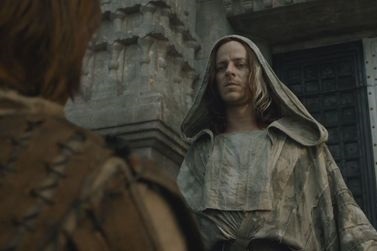 Oh, but he doesn’t want people to call him Jaqen, because he has no name. A bit conceited, but I love you all the same, former Jaqen. -Another great dress. This is right now the only thing I care about when Dany shows up. -What’s all that hissing about? This wouldn’t have happened with Jorah. 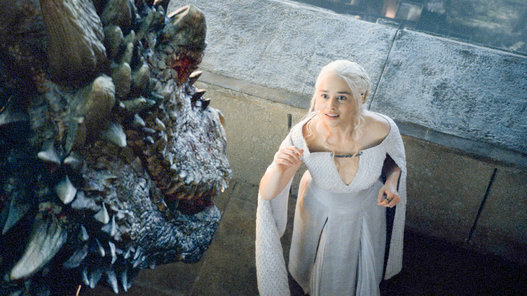 -Awww, Drogon came back to his mum. -This is actually very moving. That cute, gigantic, fire-breathing monster has passed his teenage rebellious phase and has come home. Now I finally care.